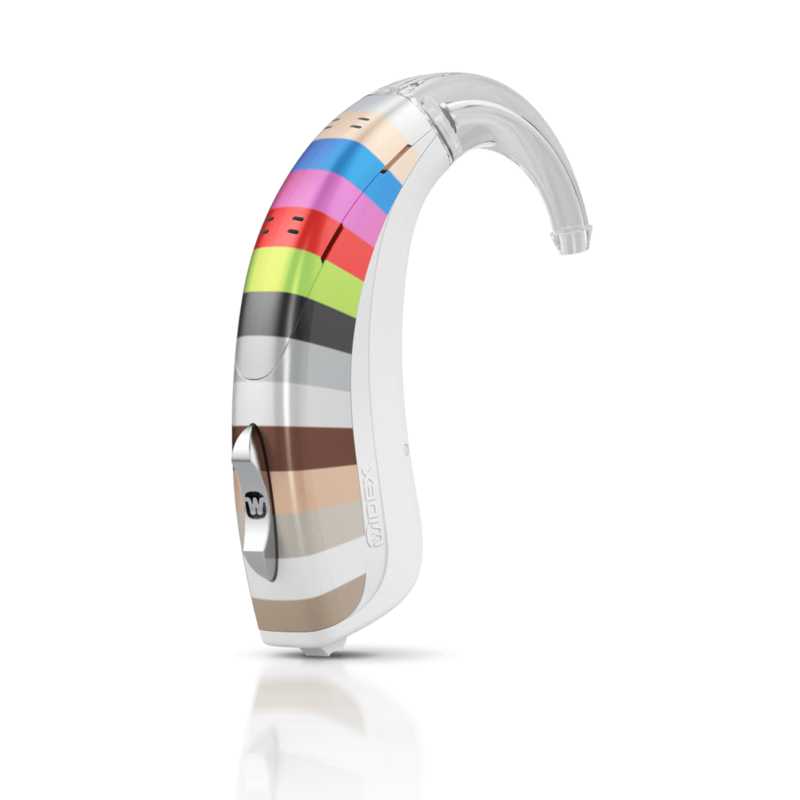 When it is time to select a hearing system, you’ll quickly realize how many options you have in terms of brands, styles, technology levels, etc. Here we provide an overview of the best hearing aid brands on the market, along with an explanation of common wearing styles and other frequently asked questions. We invite you to contact our local practice with any questions you may have, or to schedule a consultation with one of our experienced hearing care professionals. 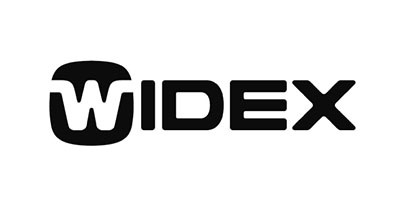 Winner of the European Inventor Award in 2012, the Danish manufacturer Widex was founded in 1956. Widex is known for their trademark “Widex Sound” – a natural, rich spectrum of sound that captures voices in a crowd to a quiet whisper. Widex was one of the first manufacturers to offer a digital in-the-ear hearing aid and wireless technology. 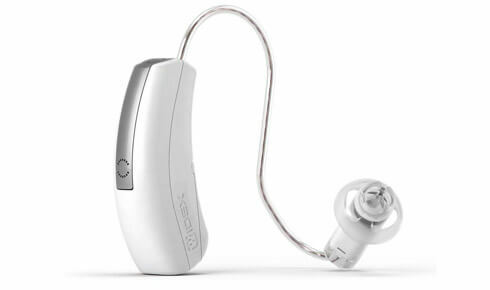 Widex offers a diverse collection of hearing aids: UNIQUE, DREAM, and SUPER. UNIQUE and DREAM offer wearers fast processing platforms, access to a wide range of sound, an excellent noise reduction system, and a distortion-free listening experience. UNIQUE has the ability to detect, analyze, and balance sounds from the wearer’s ever-changing environment It is available in several styles: completely-in-canal, in-the-ear, receiver-in-canal, and behind-the-ear. DREAM is known for its ability to pick up voices from all directions, with great directionality. DREAM is also available in the above styles. 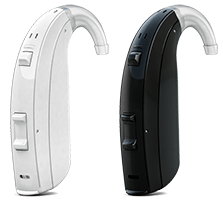 SUPER is designed for people who experience higher degrees of hearing loss. 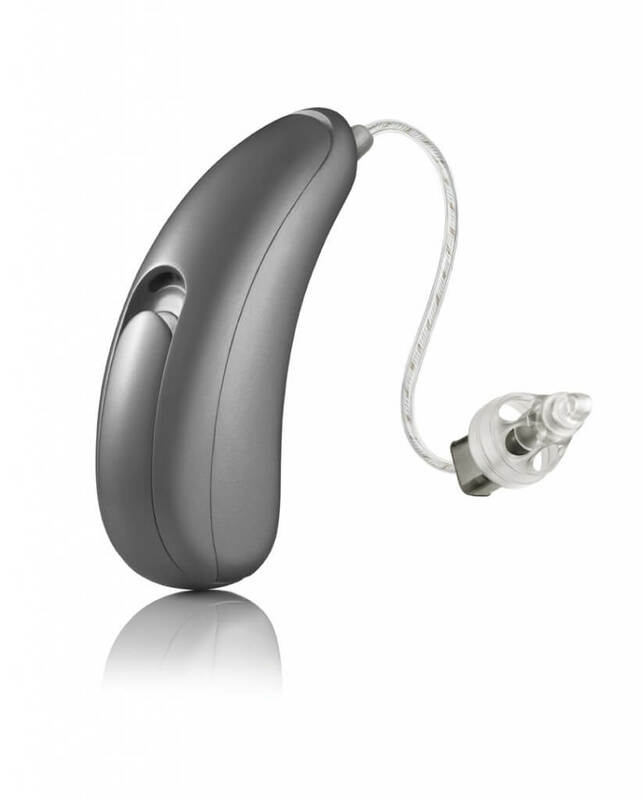 It is one of the smallest super-powered hearing aids on the market, with a long battery life and powerful processing power. Widex is also known for their ZEN Tinnitus Therapy. With approximately 90% of hearing loss cases accompanied by tinnitus (“ringing of the ear”), ZEN provides Widex hearing aid wearers with relief. ZEN Tones are synthetic, relaxing sounds that mask the sounds of tinnitus. The ZEN Tinnitus Therapy program also consists of re-training the brain to hear, and counselling to deal with the frustrations of tinnitus. 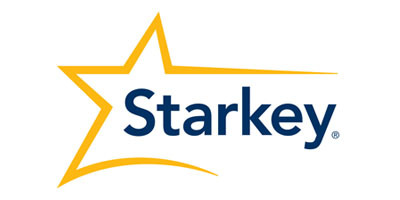 Founded in 1967 in Eden Prairie, Minnesota, Starkey is an American manufacturer of hearing aids. Starkey partners with a research institute in Berkeley to produce cutting edge hearing aids, including some industry firsts. Starkey was the first to produce in-the-canal hearing aids, and the first fully programmable invisible hearing aid. 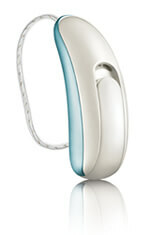 Starkey is known for their Halo 2 Made for iPhone hearing aid, which was one of the first smartphone-connectible hearing aids on the market. Halo 2 allows wearers to stream music, phone calls, and other media from their iPhones directly to their ears. With GPS technology, Halo 2 logs user preferences as they move through different environments; when wearers return to these spaces, the Halo 2 automatically adjusts to saved preferences. Muse is Starkey’s newest hearing aid, a wireless model that is designed to analyze and balance complex listening environments. Muse is powered by the brand-new Synergy platform, which provides natural and seamless listening. Unlike other hearing aids which only address speech, Muse captures all sounds of life, including high-fidelity features for music lovers. 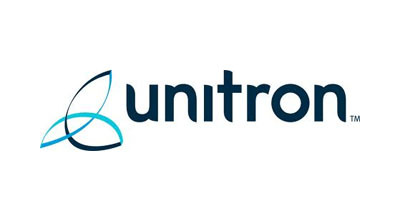 Unitron is a Canadian hearing aid manufacturer, founded in 1964 in Waterloo region of Ontario, also known as Canada’s “Silicon Valley.” Unitron partners with the National Centre for Audiology at Western University to design hearing instruments based on real-life feedback and application. Unitron’s commitment to people lies in their TrueFit Software and Flex program. These two features track user preferences and archive them for wearers’ hearing instrument specialists. With this data, hearing instrument specialists are able to provide a personal, customized listening experience for Unitron hearing aid wearers. Unitron’s latest processing platform is North, which powers a number of hearing aid families: Stride, Moxi, and Max. 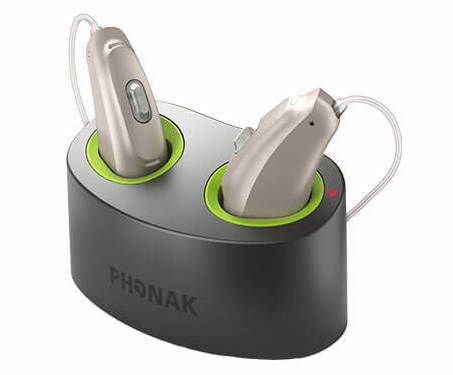 These hearing aid models come in several different technology levels and offer Bluetooth wireless connectivity. 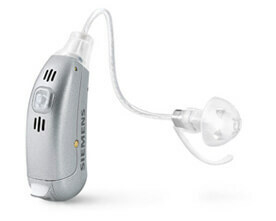 Max is Unitron’s super-powered hearing aid for those with severe to profound hearing loss. 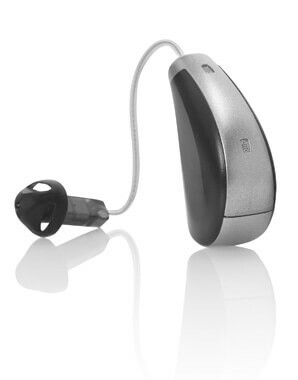 Moxi Now is Unitron’s newest hearing aid, officially the world’s smallest receiver-in-the-ear hearing aid. Moxi Now is the size of two blueberries stacked one on top of the other; despite its small size, it is one of the most powerful wireless aids on the market, with three power levels. To support the natural ease of listening with hearing aids, Phonak has recently introduced the Audeo B-R, a rechargeable hearing aid. 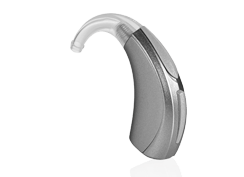 Audeo B-R is a response to calls from consumers for a sustainable, rechargeable hearing aid with a long battery life and ease of operation. Audeo B-R, powered by the Belong Platform, offers 24 hours of unlimited hearing when fully charged (an eight-hour charge). For those on the run, a 30-minute quick-charge will power Audeo B-R for six hours. Audeo B-R is easily charged with different charging options: the Phonak Charger, the Phonak Power Pack, and the Phonak Mini-Charger. Phonak is also known for other ground-breaking aids, such as the Lyric, which gives wearers uninterrupted listening for months at a time. This 100% invisible, showerproof hearing aid can be worn for up to four months until it is replaced by your hearing specialist. Lyric has been dubbed the “contact lens of hearing aids” for the seamless listening experience it provides. 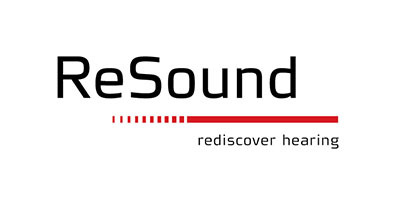 ReSound is a leading manufacturer based in Denmark, founded in 1943. ReSound is committed to helping people rediscover hearing in order to live rich, active, and fulfilling lives. Always pushing the envelope for innovation, ReSound introduced the first open-standard digital chip to fuel faster processing platforms, as well as Digital Feedback Suppression and Wide Dynamic Range Sound Processing. 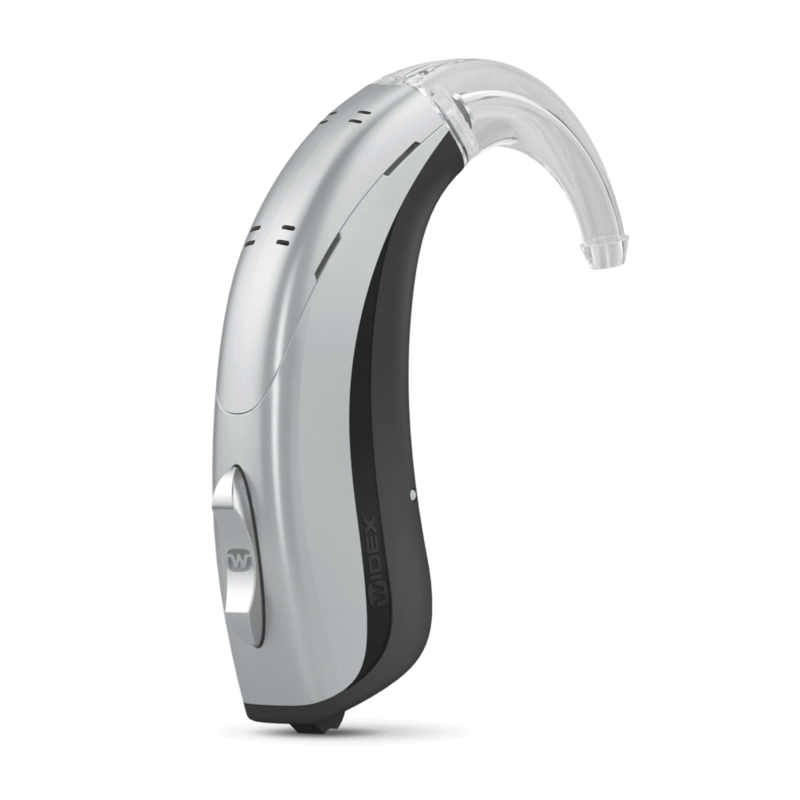 ReSound’s LiNX2 is one of the first Made for iPhone hearing aids available on the market. 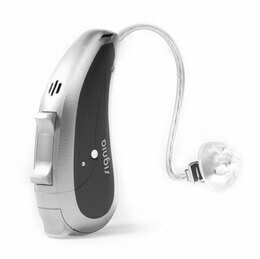 LiNX2 reshapes the way we think about hearing aids, making it an instrument that wirelessly connects to the smartphone for a number of exciting features. ReSound’s ENZO2 is designed specifically for people who experience higher levels of hearing loss, from severe to profound. ENZO2 offers enhanced speech recognition and spatial awareness, and three power levels: Power, High Power, and Super Power. 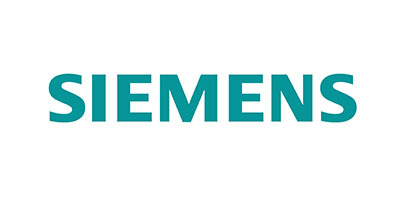 Siemens and Signia together connect the 19th and 21st centuries. Founded in 1847 in Germany, Siemens has been an innovator in the hearing industry, with its mission rooted in improving the lives of people who are hard of hearing. Siemens made many technological advances in the hearing industry, including notable firsts: the first behind-the-ear hearing aid in 1959, and the first in-the-ear hearing aid in 1966. 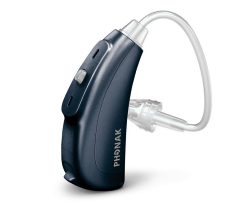 In 2014, the Siemens binax hearing aid was the first to outperform normal hearing in challenging noise environments. Signia is the newest brand from Sivantos Group, parent company to Siemens. Co-branded with Siemens, Signia builds upon the technology and innovation of its predecessor. Signia’s debut hearing aid is the Primax, which has been proven by independent studies to reduce listening effort throughout the day. The brand-new Signia Cellion Primax is one of the industry’s first inductive, wireless, contact-free rechargeable hearing aids, offering a sustainable solution for the future. Behind-the-ear (BTE) hearing aids are made of two main parts. 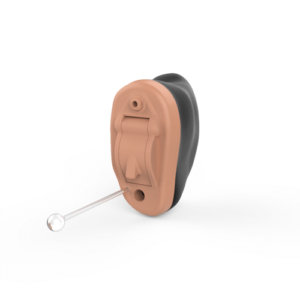 The electronic components of the hearing aid are housed in a plastic piece that rests behind the ear, while a thin, clear plastic tube, through which sound travels, rests in the canal. BTE hearing aids are excellent for people with dexterity issues, as they are easy to control. They may prove disadvantageous for people who wear glasses, as they rest on the ear. BTE hearing aids treat a wide range of degrees of hearing loss, from mild to profound and are valued for their discreet design. Receiver-in-canal (RIC) hearing aids look like BTE hearing aids, with the microphone and amplifier behind the ear. The difference is that the receiver (the piece that receives sound information) rests in the canal, rather than behind the ear. Rather than a thin plastic tube, RIC hearing aids have thin electric wires in the tube. RIC hearing aids are easy to control, while like BTE hearing aids, they may be inconvenient for people who wear glasses, but are valued for their discreet design. In-the-ear (ITE) hearing aids come in many different forms. The most common ones are full shell or half shell hearing aids, which sit on the open face of the ear. These hearing aids are more visible than BTE and RIC hearing aids, and they are more difficult to control because of their size. However, ITE hearing aids are convenient for people who wear glasses, and they treat mild to profound hearing loss. In-the-canal (ITC) hearing aids are a form of ITE hearing aids. These are quite small and are inserted within the ear canal (partially or completely – see below). 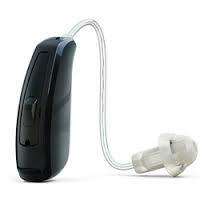 ITC hearing aids are very discreet and are usually not visible. At the same time, they are equipped with directional microphones and volume control. One downside is a tendency to produce feedback, if not fitted correctly. ITC hearing aids are recommended for people who wear glasses. They are also convenient for telephone calls. Completely-in-canal (CIC) and invisible-in-canal (IIC) hearing aids fit deeper in the ear canal than ITC hearing aids. They are, for all intents and purposes, invisible. Usually, their placement means there is no feedback noise. CIC and IIC hearing aids treat a range of hearing loss, usually from mild to severe hearing loss, depending on the brand. They are valued for their discreet design. On the other hand, they may be difficult to maneuver when replacing batteries, which have a shorter life than the above styles. 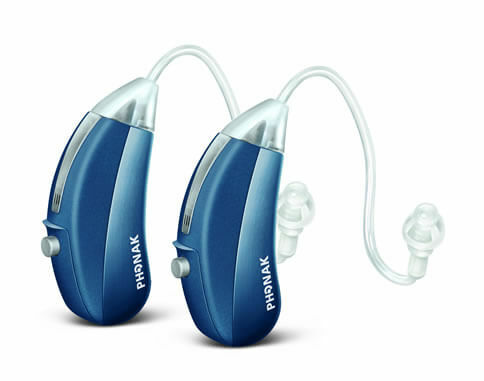 We provide a wide variety of hearing aid brands and hearing aid styles. Each individual is unique and we offer personalized solutions that match YOUR hearing needs.